This vocal showpiece for soprano has been adapted for 4 b-flat clarinets and 1 bass clarinet. The solo line is mainly in the first part and the string accompaniment has been simplified and divided between the remaining players. 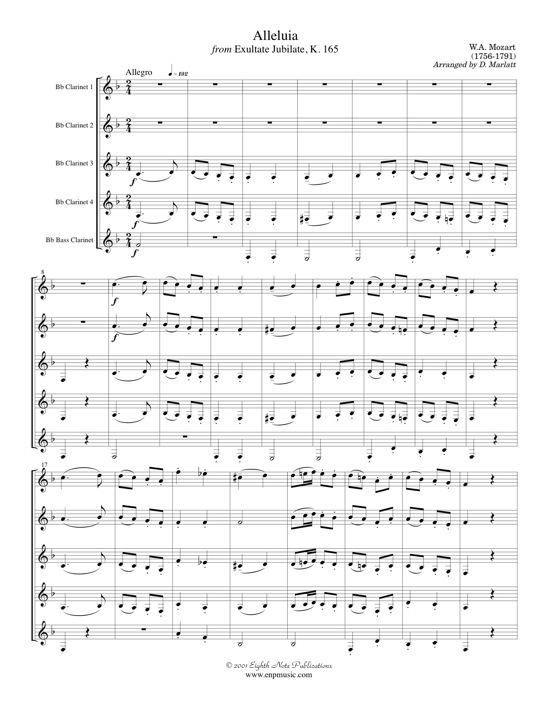 This is a great piece to show off all players and demonstrate the subtlety of the music of Mozart by a clarinet choir.